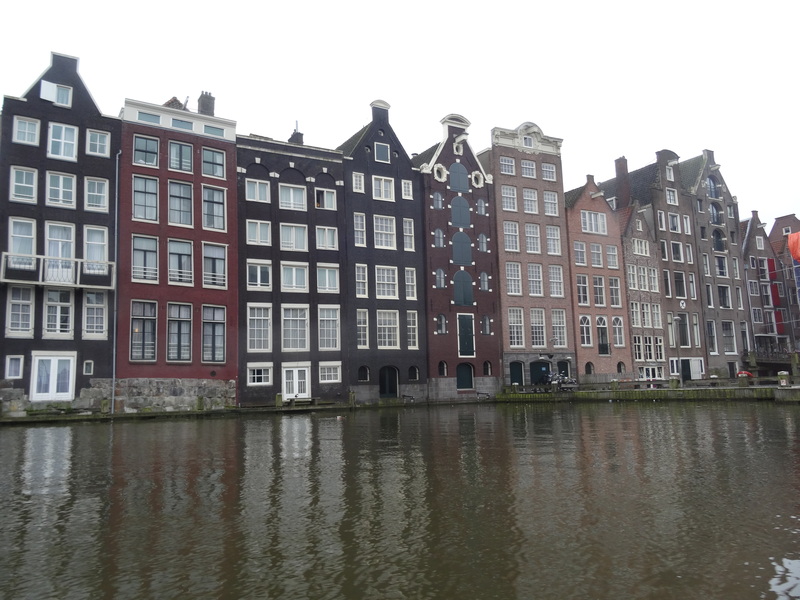 Last week I fell in love with the beautiful city of Amsterdam. 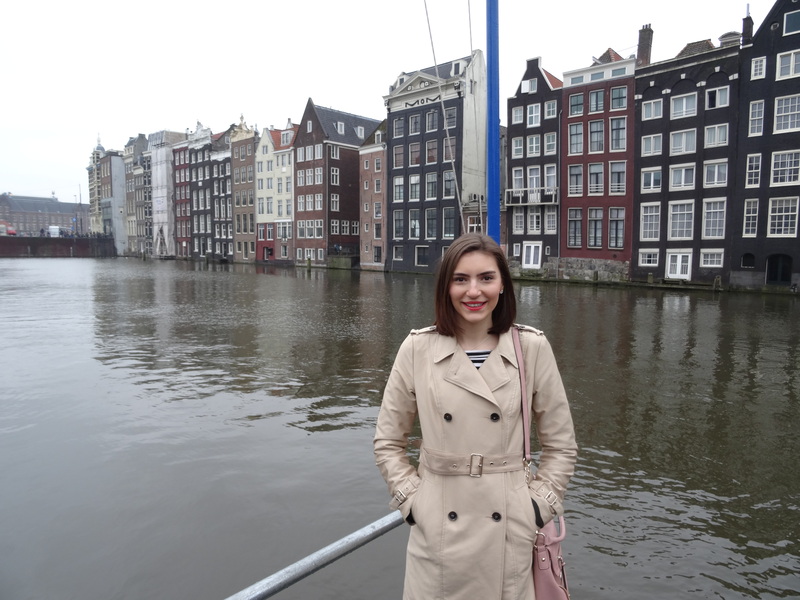 On my first day in Amsterdam I took a canal boat tour around the city, this is something that just has to be done when in Amsterdam because Amsterdam is made up of rings of canals that run throughout the city. Gliding across the water on a boat with the sun streaming through the glass is the most captivating way to see the city and take it all in. The serenity of the Amsterdam is evident when floating around on the boat, everything is so calm and peaceful. Afterwards we stumbled across The Cheese Museum, and as it began to rain we went inside to have a look. 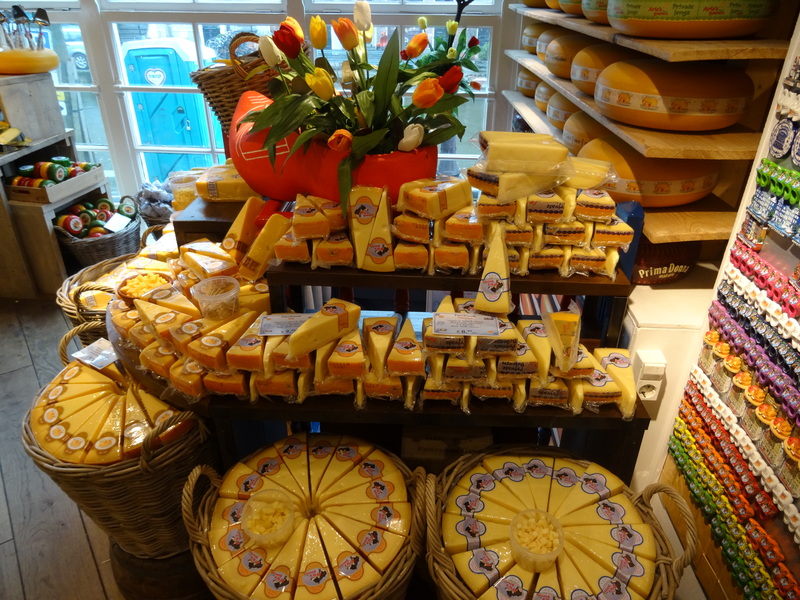 Upon entering the museum the friendly shop assistants encourage you to pick up a cocktail stick and try as much Dutch cheese as you’d like… for free. After stuffing my face with different cheeses, my particular favourite being the Gouda, I went down the spiral staircase to the actual museum. After learning a little about how cheese is made I found a photo booth where you could dress up as a typical dutch milkmaid and have a photo, and as one to never pass up a photo opportunity, I had a go. 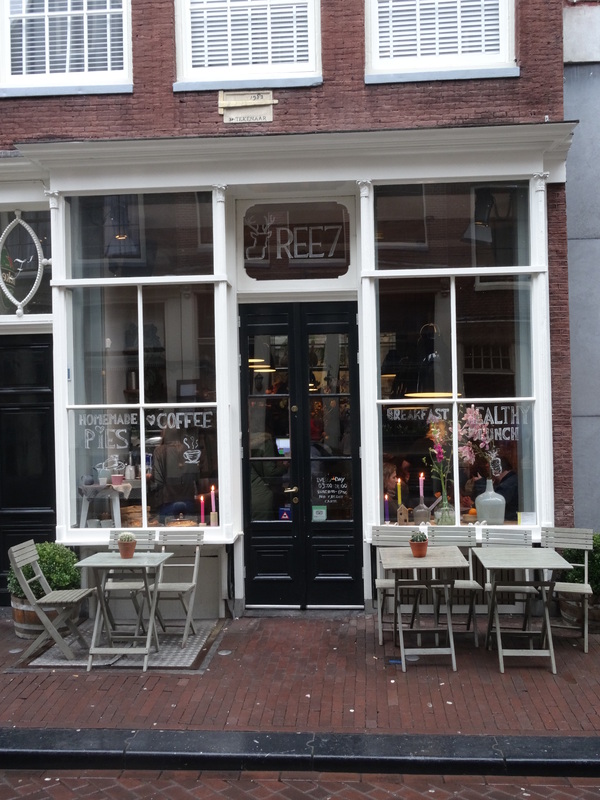 As lunchtime crept upon us we strolled the streets in attempt to find somewhere to eat and we found a lovely little cafe called Ree7. We were lucky to get a table because as we sat down people kept coming in and were being turned away due to how busy it was. We had a table by the window with a delightful view out onto the street. The cafe itself was very picturesque inside, and the food that was described as homemade and healthy was absolutely amazing and very reasonably priced. On the second day unfortunately it was pouring with rain so we went inside the Rijks Museum, which holds the famous collection by Rembrandt. 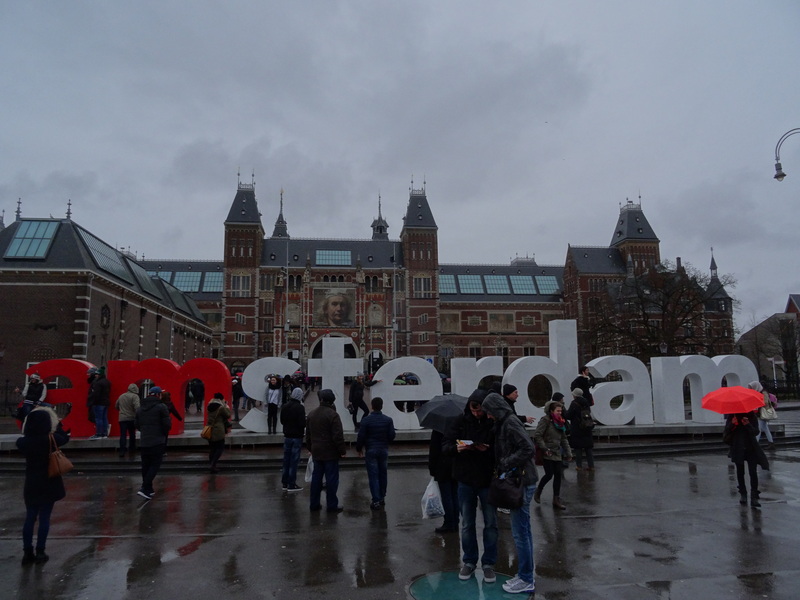 The building itself is magnificent and outside is the famous I-Am-Sterdam sign that is always worth snapping a photo of. The museum is free if you are under 19 and there are thousands of interesting paintings to have a look at. 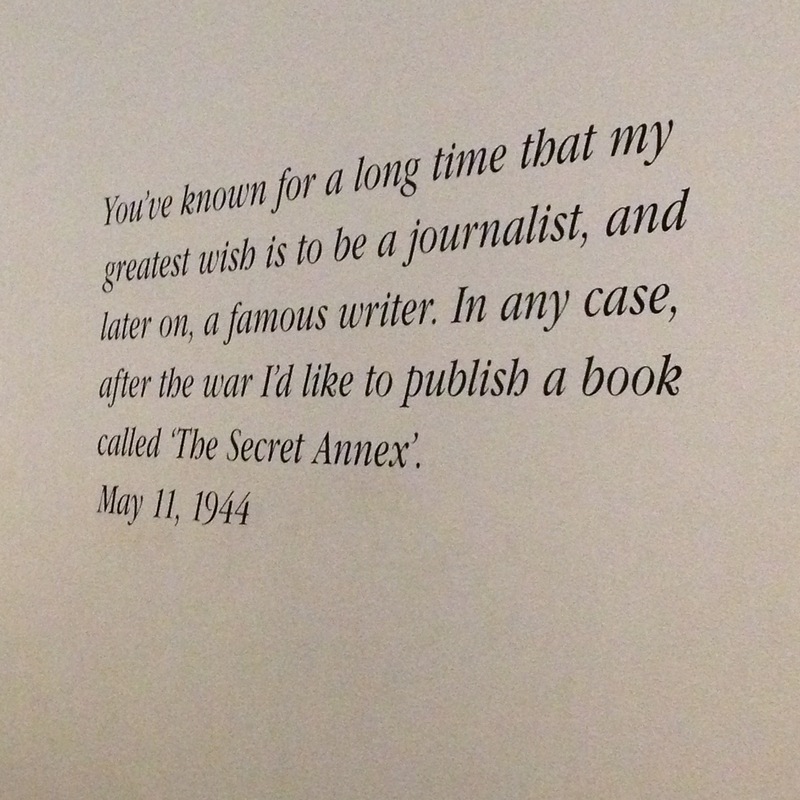 On the final day in Amsterdam we went to the Anne Frank House which was the whole reason I wanted to go to Amsterdam in the first place. Similarly to everywhere else in Amsterdam the queue was very long, actually it was extremely long as we queued for two and a half hours, but what do you expect from the top tourist destination in Amsterdam. I recently re-read Anne Frank’s Diary, her story was so moving and I truly admired her ability to eloquently convey her voice through the words of her diary. Inside the Annexe there are many sets of very steep wooden staircases, inside each room there are quotes on the wall from Anne’s diary. What is interesting is that each room is completely empty and non furnished. Years ago they did recreate the way the house looked when Anne was hiding inside it and the photographs of that recreation are up on the walls for you to see. 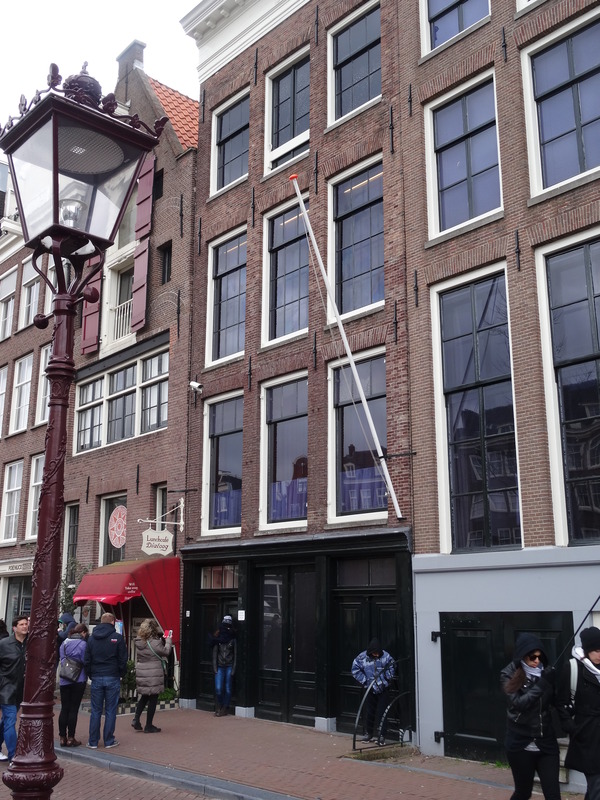 However Otto Frank insisted that the rooms be left empty to signify the void left by the Jews when they were all taken away to concentration camp. I did feel the emptiness of the room was very poignant however I think it would have been interesting to walk through the rooms when they were furnished to get a real feel for what it was like for them. Inside every room all the windows are blacked out with curtains, as it would have been when they lived there. It put into perspective how hard it must have been to stay confined between the walls of the annexe for two years, rarely seeing sunlight or breathing fresh air. When you’ve walked through the house you enter a museum, I found the museum the most emotional part of the experience because it is about what happened after they were taken away. On the wall were photographs of each person with their death certificate from when they died in the concentration camp. All of them died in the camps except for Otto, Anne’s father. It’s hard to believe he actually only died a few years ago, and the fact that there are videos up on the wall of him talking about the annexe and talking about Anne is heartbreaking. There is also a video of Anne’s friend talking about Anne and another of Miep, one of Otto’s employees who sacrificed her own life helping hide them, and brought them food every day. Her real diary is on display alongside a collection of her writing, there was a particular quote about her dream to be a writer that truly touched me. She was an incredible writer, she had so many hopes and dreams and it breaks my heart that she never lived to pursue them. 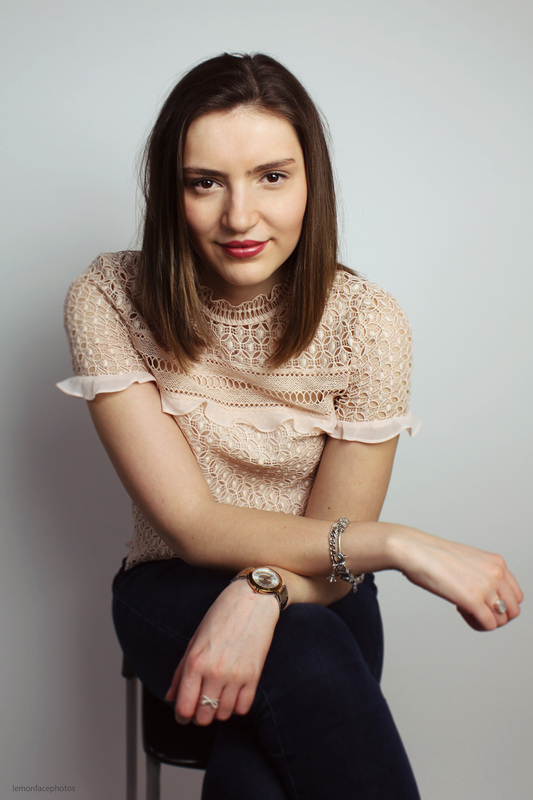 Throughout her diary she never gives up hope, she always believes she will become a writer one day. Although it’s amazing that she did become a famous writer, millions of her books are sold every day, it is awfulthat all those hopes and dreams could be taken away from her in an instant all because she was a Jew. It’s a very emotional yet inspiring experience; she was an incredibly strong and bra ve young girl. In Amsterdam everybody rides bikes around the city and if you’re not careful it is quite easy to be ran over by one. During our time in Amsterdam I really wanted to take a bicycle tour around the city but it was extremely windy on our last day so we made the decision to save it for next time. Instead I set myself on a mission to find the famous bench from The Fault In Our Stars, after an hour of looking I eventually found it. 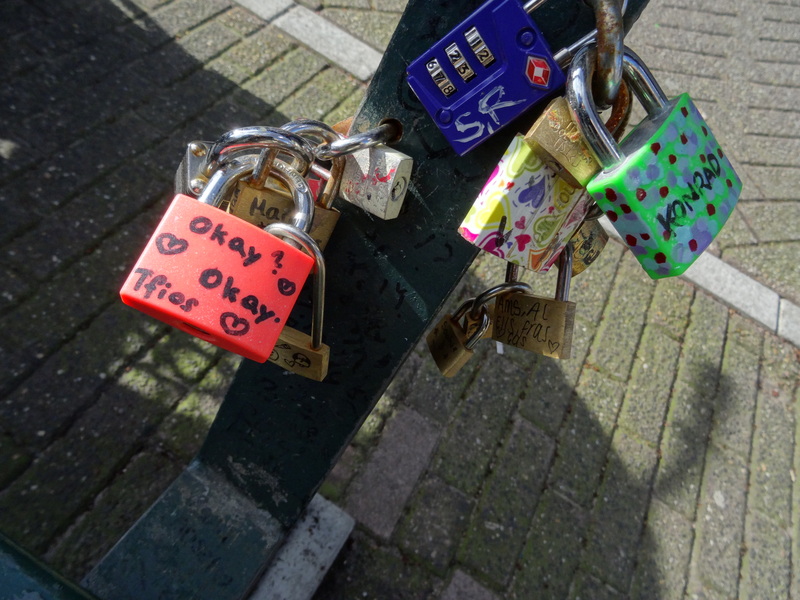 I took a re-enactment photo but sadly I was missing my Augustus, I absolutely adored the fact that on the bench people had attached locks to it and written quotes from The Fault In Our Stars. I’ve ran out of synonyms of beautiful to describe Amsterdam but other than New York it is my favourite city. It’s one of the only places I’ve visited and felt like I could easily live there. The Dutch are brilliant at English and they are all so friendly, the houses are all so majestic and everything is so laid back and calm. One day I am determined to live there, even if it were just for a year. 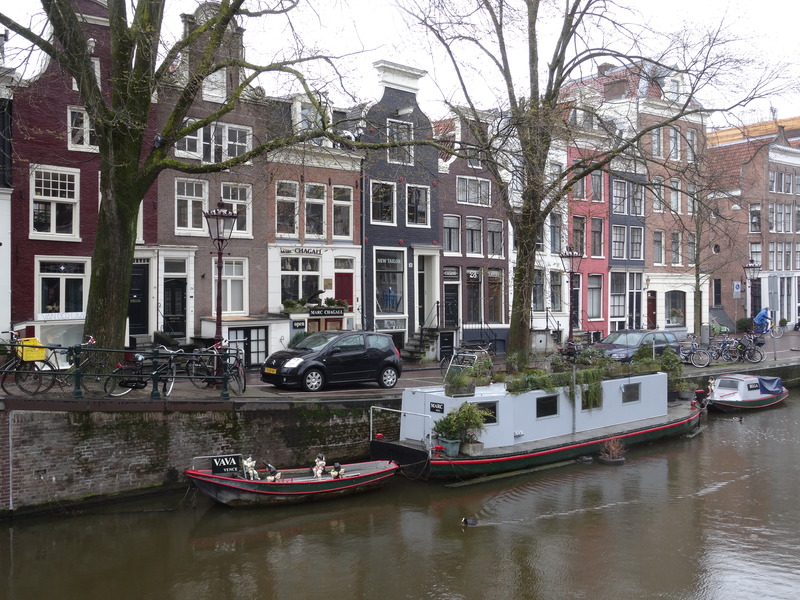 You have captured the feel and beauty of Amsterdam in this blog.